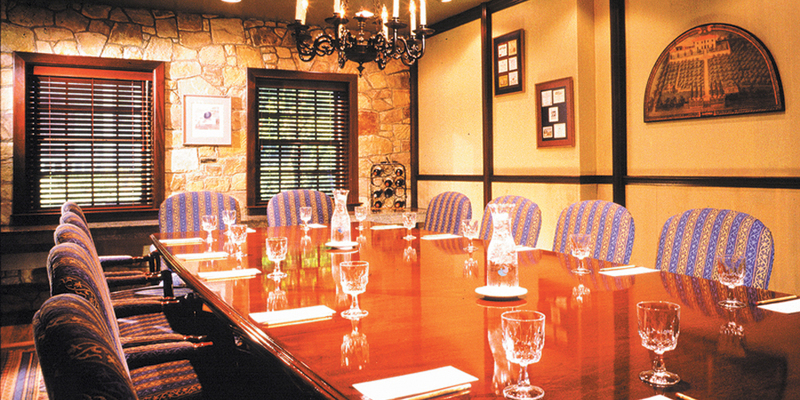 Our corporate meeting rooms are elegantly decorated. 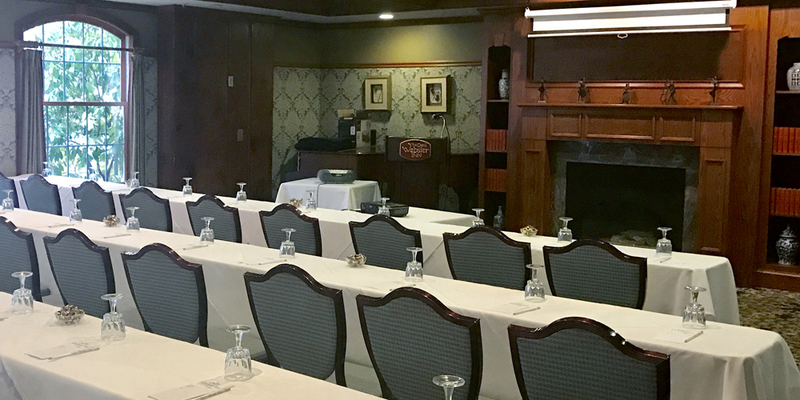 The Jefferson Room is our exclusive boardroom designed to accommodate up to 14 people for small gatherings or corporate meetings. The private Jarves Room overlooks our beautiful outdoor pool and garden area from large windows and french doors, and can accommodate 35-50 people. 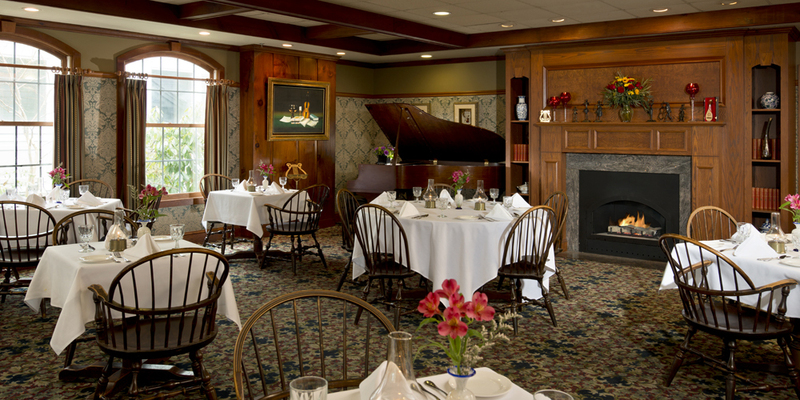 The Heritage Room, located in the main building, has a cozy, intimate feel and can accommodate 25-45 people. The Music Room, located in the main building, can accommodate 25-65 people. 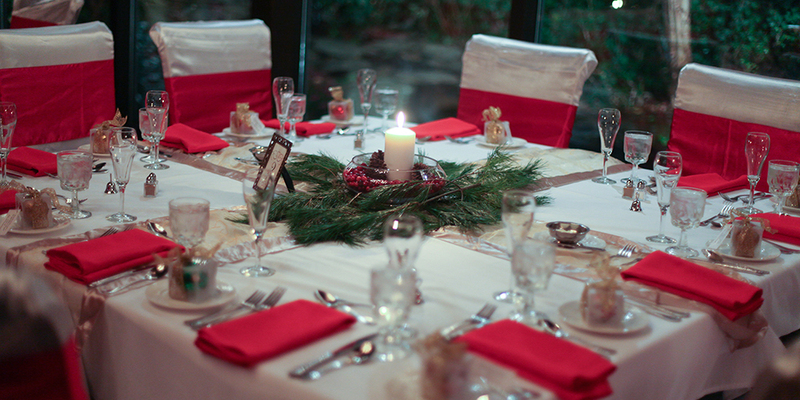 The elegant Webster Room can accommodate up to 65 people depending on set-up requirements. Our very experienced staff will help with all details so that your business meetings will run efficiently and successfully. 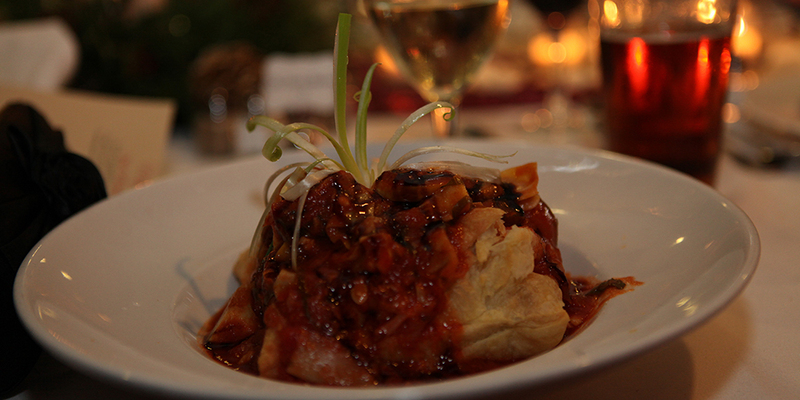 Our experienced Meeting Planners work with you to ensure all your needs are met. What does the Dan'l Webster Inn provide? 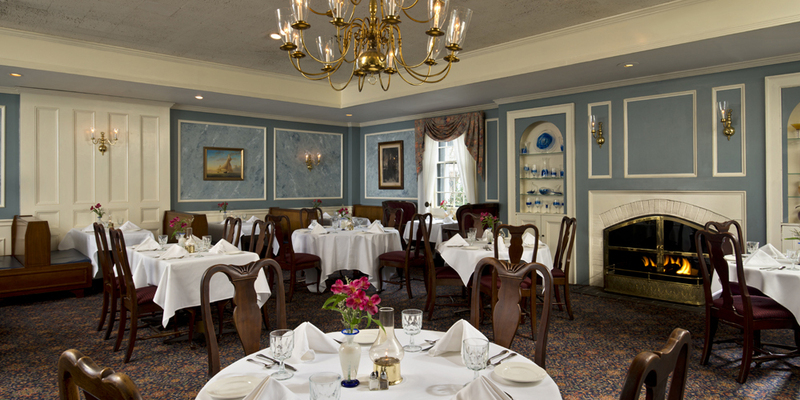 The Dan'l Webster Inn's classic American cuisine and elegant overnight accommodations have won us the Wine Spectator "Award of Excellence", the Gold Award for "Best of the Best" from the American Academy of Restaurant Science and the DiRONA Award; Distinguished Restaurants of North America. We are extremely proud of these honors and strive daily to maintain our standards of high quality, warm hospitality and attention to detail. Dress for your event is at your discretion, we welcome guests in all our dining rooms dressed from casual to their Sunday best. 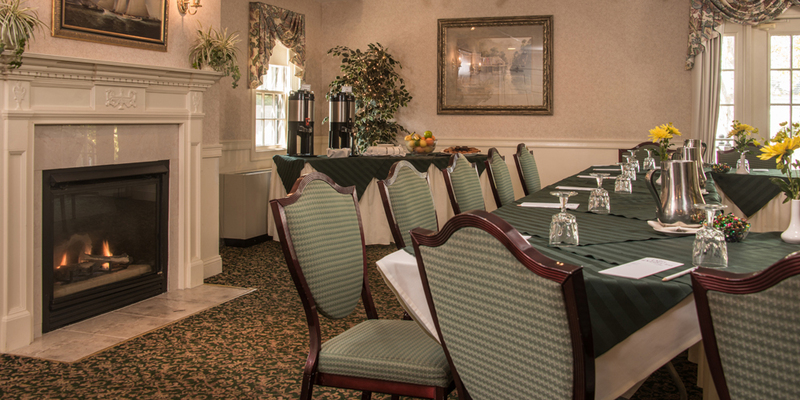 As a service to all of our inn, dining and group guests, we are pleased to offer FREE wireless, high speed, internet connections in all guest rooms, meeting rooms and common areas. Additionally, we feature a valuable Communications Package. For only $1.50 per day, guests can make unlimited local and long distance (within the Continental United States) calls without toll charges. To inquire about rates and availability, click here. Fill in all the information with your requirements and dates, and we will respond directly back to you.